After the tough time in Australia and New Zealand, England must have thought that things would be easier for them once they returned to familiar surroundings in the summer. However, things have not turned out that way and in their first Test of the summer; they suffered a humiliating loss at the hands of Pakistan at Lord’s. Considering the fact that it is a two-Test series, the hosts need to bounce back quickly and win the next Test at Headingley. Needless to say, there are going to be some changes to the playing eleven, but at the same time, they would not make too many of those. Drastic changes can often backfire. On the other hand, they are playing a Pakistan side which has played brilliantly and had done the basics perfectly. If England are to win, then they would have to match them in terms of skill and discipline. Here is a look at the 5 players who will have a big influence on England’s show in the 2nd Test. 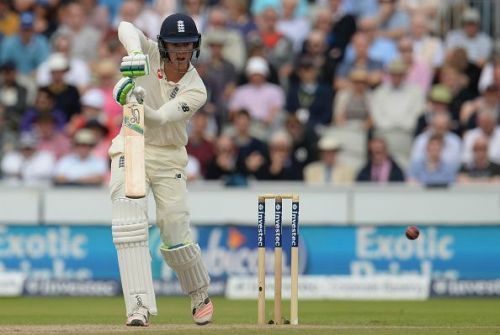 Mark Stoneman’s struggles at the crease in the 1st Test at Lord’s was painful to watch and after scores of 4 and 9, he has been replaced by Keaton Jennings. The Lancashire left-hander made a century on debut against India back in 2016, and last played for England in the series against South Africa at home last year. Jennings has recorded an average of 43 in the County Championship and scored 2 centuries so far. It made him an automatic choice, but at Headingley, he will be up against a varied bowling attack and would be faced with challenges that he might not have encountered in the county circuit. The Pakistan fast bowlers completely overwhelmed England at Lord’s and Jennings would need to be at the top of his game if he is to survive the opening burst. However, the return of a young promising player to the side is always something that cricket fans look forward to, and particularly when he is making a return in such a crunch game.